Decrease the amount of manual work and hard copies to accelerate business processes in the period of fast company growth. Implement digital signature in document management. Air Astana specialists automated the main HR and finance processes. Digital signature was implemented for endorsing documents, while the BPM system was integrated with ERP and other internal IT systems. The company’s records and document storage were transferred into electronic form. The speed of document review and approval has increased by several times due to cross-platform integration of IT solutions and introduction of the digital signature. The document routes have been optimized and the number of manual operations has reduced. Processing of customer and employee requests now require less time and financial resources. 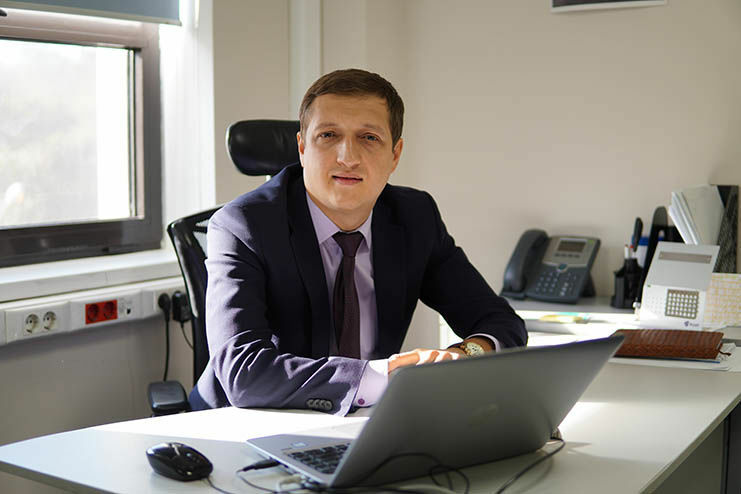 Roman Bogdashkin, Director of Enterprise Applications and e-Business Development in Air Astana, has told us how digitalization of processes ensures business growth and scalability. In 2018, Skytrax recognized Air Astana as the “Best airline in Central Asia and India” for the seventh time in a row. That same year, APEX (Airline Passenger Experience Association) included Air Astana in the Five Star Major Regional Airlines rating. Air Astana is featured in several the most valued industry ratings for the high standards of services it provides. What is the company’s efficiency based on? Aligned sales and accessibility. Customers can reach us through the network of global agents, our website, sales offices and the twenty-four-seven call center. Compliance with the highest international safety standards. Modern aircraft fleet: our average fleet age is 8 years. Highest standards of customer service. Reliability: on our flights, we fulfill every obligation. Convenient connection flights and a growing route network. – What is the company’s development strategy?? – Roman Bogdashkin: Our strategy is aligned with our mission: ensure the highest safety standards, be the most reliable airline in the region with excellent service, improve our fleet and route network, and enhance the product that we offer. We also aim at recruiting, appraising and rewarding our staff based on merit and we enable the employees to reach their full potential. 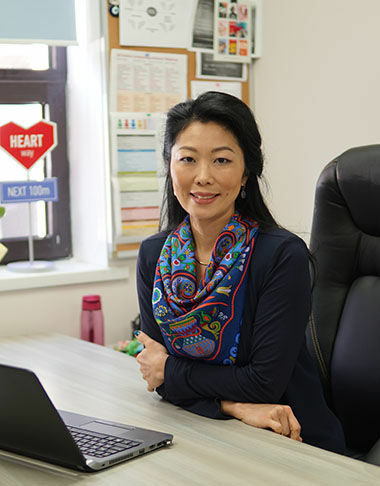 It is important for us to be a socially responsible company and a global ambassador for Kazakhstan. – How does IT help in achieving these objectives? – Roman Bogdashkin: On all fronts. The need to develop IT in the air transport sector increases rapidly. It is necessary to digitize business processes and automate interactions with both your customer and employees. – Does the senior management of Air Astana support the development and implementation of new IT solutions? – Roman Bogdashkin: Our managers understand that automation is a global trend that cannot be ignored. Developing IT is not an option but a bare necessity. 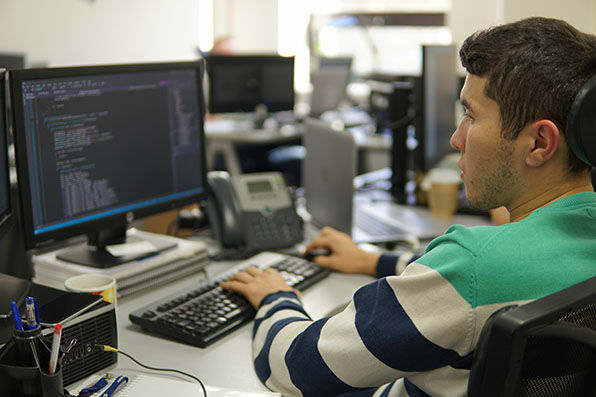 We are actively introducing new IT projects and expanding our skills. Our IT department already employs more than 60 people. – Can you describe the IT infrastructure of your company and the projects that you work on? 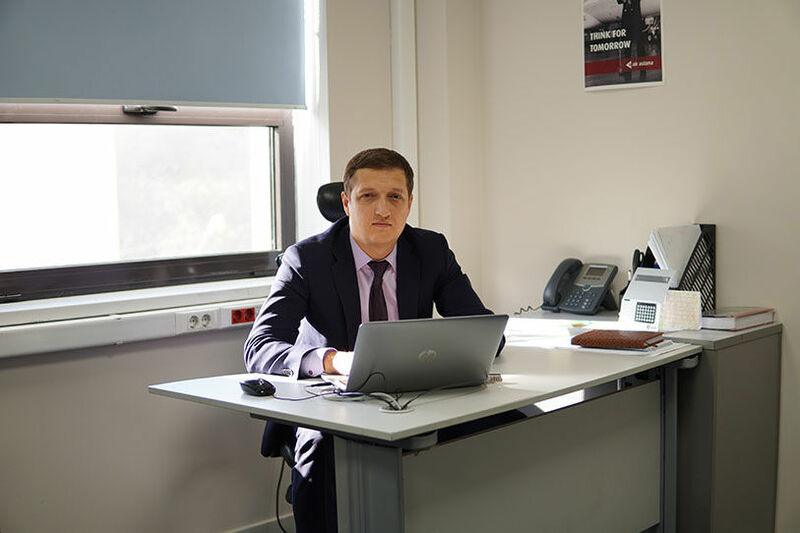 – Roman Bogdashkin: Our IT department comprises of several divisions, which work in three major areas: infrastructure and IT security; applications (creation of in-house applications and development, support, improvement, and implementation of commercial applications); e-commerce (online sales and communication with customers through the website and mobile apps). We do a lot of development ourselves in order to save costs on licensing and maintenance fees. At the moment we are using more than 150 IT systems, including both specific applications and complex solutions that engage the entire company. – Why did you decide to implement a BPMS? – Roman Bogdashkin: The company was growing intensively and we wanted to accelerate its growth even further by getting rid of excessive paperwork and reducing the number of manual work. We were using different automation tools for certain departments but came to the conclusion that a BMP system would be a better solution. It provides automation not only for document management but for other business processes, too. – How and when did you initiate the ELMA project? – Roman Bogdashkin: In 2016, Evgeniya Ni, our Vice President of HR and Administration raised the following issue: the company was growing and so was the number of employees. The HR department was drawing in paperwork. Obviously, it would only continue to get worse leading to longer document approval, and outdated and lost documents. These factors could have a bad impact on the company’s business processes and growth. Together, we decided to have a look at automation products on the market. We examined the BPMS market and reviewed the software of Kazakh, Russian and foreign vendors. – How many people took part in this project? – Roman Bogdashkin: On our side, we had a project manager working with users, suppliers, and developers. When necessary, other specialist joined the team, for example, for configuring integrations. HR department specialists helped us define the problems, test the product and business process activities. – You have mentioned that certain IT tools were implemented in your company for solving similar tasks. Did you integrate them with ELMA? – Roman Bogdashkin: We integrated some of them and replaced others with ELMA. If a business process in ELMA required specific data from other systems, we used cross-platform solutions such as web services. This was done by our own team and also with the help of the vendor. – Which processes did you implement first of all? – Roman Bogdashkin: We knew that the HR department was suffering from excessive paperwork, moreover, HR processes involved the entire company. So we decided to start our automation project with them. It seemed to be a wise decision since we were planning to implement a digital signature in the company. Automating HR processes also meant engaging a maximum number of employees to use the system. Memos and contracts are something that everyone needs. HR processes are a good basis for testing software in action. Digital signature was our pilot project. According to Kazakhstan legislation, a digital signature is legally valid. Then, together with the vendor, we described the business processes, the first ones being related to sending supplemental agreements to our employees based on staff assessment. At the moment, we have automated 59 groups of processes, including “Temporary reassignment for medical reasons”, “Extra payment”, “Renewal and termination of employment agreement”, “Revoke/Amend decree” and others. – Have you ever had any difficulties introducing employees to the system? – Roman Bogdashkin: Basically, no. Our HR Department created a PR campaign for ELMA with video tutorials, banners, instructions. We assigned assistants to help employees to get used to the software. When the preparatory stage was over, we informed all divisions that we were about to launch ELMA and warned them that from now on in some processes hard copies would no longer be accepted. It is clear that managers use the system on a daily basis as they approve requests. Other employees use it when it is necessary. Our employees from foreign offices (China, Germany, England, Malaysia, Thailand, and other countries) also use the system, but they are not involved in the processes that require digital signatures. On average, 100–200 people work in ELMA simultaneously. – How did the staff take in ELMA? – Roman Bogdashkin: They took it in pretty well because automation enhanced the processes and let the employees work faster. We have many innovations, and most people are tech-savvy. – Besides HR, what other processes did you automate? – Roman Bogdashkin: Appetite comes with eating. When the first processes were automated, employees began to come up with their own ideas for optimization. For example, we’ve recently created a service for booking hotels, which is necessary when planning business trips. We are gradually automating the processes of Financial and Accounting departments: reviewing invoices and payments processing, introducing approval and signing of purchase contracts. It is one of our top priorities as there is a lot of paperwork in these processes. – The processes in the Financial department must be rather large-scale, aren’t they? – Roman Bogdashkin: Yes, they’re complex, with multiple integrations. In particular: “Sign-off for Contracts”, “Contract”, “Advance Payment Request”, “Report on a Business Trip”, “Fixed Assets Accounting”. The latter involves all employees and the supplies divisions in accounting. -Did the system help speed up the processes of the HR department? – Roman Bogdashkin: Yes, of course. We do not have one single office: only in Almaty there are several centers, not to mention other cities. Before, employees used to exchange documents via our internal mail. Documents would get lost, and approvals would be delayed because of business trips. Now all approval stages are automated and the process can be completed in several minutes. In November 2018, our project of transforming HR-processes with the ELMA platform won the “WOW! HR Kazakhstan” international business award. We won the Digital Solutions nomination by a significant margin! – What other tools of the system do you use? – Roman Bogdashkin: Records management. We want to implement stream scanning of documents and set up integration with ELMA in order to fully digitize the company’s archive. In general, we are promoting the idea to departments that in ELMA we can create very diverse processes. When we receive an automation idea from an employee, we consider whether we can implement it in ELMA or it requires separate software. – Do employees take part in improving the processes? – Roman Bogdashkin: Yes. They really want an ELMA mobile application that would feature the state-authorized digital signature. We are trying to decide how to implement it and are actively working on this issue with certification authorities and the developer. Also, we are planning to automate about ten processes in the near future. – What difficulties did you expect to encounter during the implementation project? Did you manage to avoid them? – Roman Bogdashkin: There were some risks. We were not sure if the system could handle the load and be integrated without difficulties. Also, we were concerned about how the employees would get used to the software. I am glad that our project with ELMA turned out to be successful. The program has proven to be flexible, and we had no issues with its performance. All sides of the project are satisfied. – Talking about the results, what problems did you manage to solve with ELMA? 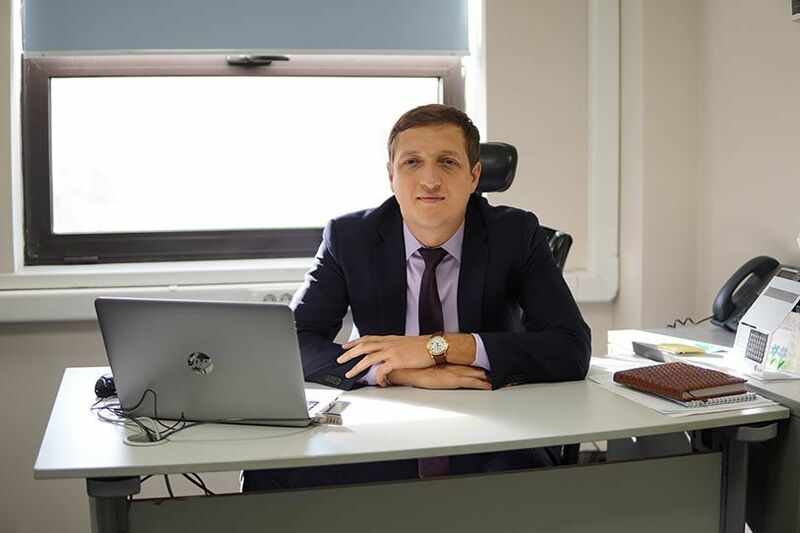 – Roman Bogdashkin: We have achieved the main goals: we switched to electronic media, set up the digital signature, digitized the main HR processes and, partially, the processes of the Financial department. Now we are focused on scaling and replicating the processes and expanding the scope of BPMS. ELMA has proven to be a flexible and cost-effective tool. Especially, in comparison with alternative software of foreign vendors, which take longer to set up and have expensive consulting and support. As for the system’s capabilities, it can be compared to other industrial solutions, and in some cases is even better. The system does not require specific human and IT resources. It can be set up without any extraordinary skills or servers. In our company, for example, it works on pretty basic equipment. – What would you recommend to other companies who are thinking of implementing business process management with a BPMS? – Roman Bogdashkin: Business processes automation benefits any business, any IT specialist understands that. A great advantage of a BPM system is its flexibility. You can easily design and implement new processes. I recommend starting with pilot projects. Any optimization, of course, is more efficient when the company’s top management supports it. Also, it is important to educate the employees, explain the purpose of the software and make sure that they understand what benefits it can bring. Another piece of advice: when digitizing processes, you should stop using hard copies. If you give people a choice, they will continue to work in the old manner by inertia. This will result in extra workload and a waste of resources. If there is no alternative, employees get used new tools pretty fast. Automation is a global trend that cannot be ignored.